Recently, I decided to examine the cost of Polysomnography, better known as a sleep study. 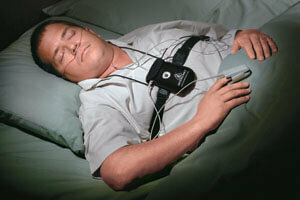 A sleep study is used to screen for sleep disorders such as sleep apnea. It is typically conducted in a sleep center or hospital and involves being connected to various sensors which monitor heart rate, oxygen levels in the blood, breathing patterns and eyelid movement. Once all monitoring devices are attached to their proper location, the lights go out and you will eventually fall asleep. While sleeping, the sensors send information to a device that records and analyzes every breath that you take, or perhaps don’t take. After completion, the doctor examines the results and gives a recommendation. After a bit of searching, I found that people who went through a sleep study were receiving bills for as much as $4,000. Talk about sticker shock! Depending on location, the amount billed seemed to vary from $2,500 on the low end to $4,000 on the higher end. These costs do not include the initial visit with your physician, visits with specialist or follow-up visits which can add several hundred or even thousands more to this price. While this may not be of interest those who have good insurance coverage, an increasing number of Americans are without healthcare or have a plan with a very high deductible. For the average person in this position, undergoing a sleep study can really place them in a financial bind. After seeing the high out-of-pocket costs associated with the Polysomnography, I started to investigate alternatives to the traditional sleep study. The first concept that came to mind was an at home study. After all, at home equipment is available for analyzing everything from drug use to blood pressure, glucose levels and even paternity testing. Why not sleep apnea? Lo and behold, home sleep apnea tests are available and at a reasonable price. The available testing kits typically consist of many of the same monitoring devices that are found in a sleep lab. This equipment is offered on a rental basis and contains a device which records all information that is later analyzed by a physician. 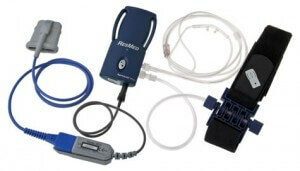 Most kits contain breathing sensors that attach to the nose and mouth, a heart rate monitor, strap that detects movement of the chest, and blood oxygen monitor. The patient follows the manufacturers provided instructions and sleeps as they normally would in the comfort of their own home. This procedure is conducted for anywhere from one to three days. Once completed, the unit is mailed to a laboratory where the results are analyzed. Many online companies that offer this service will even write a prescription if needed. Performing an at home apnea test is obviously going to be less expensive, as the equipment being used is not as technology advanced and you are not paying for the facility and staff. We already know that you can expect to pay upward to $4000 for a sleep study but how much does an at-home sleep study cost? One can order an at-home test for as little as $250. This is considerably lower than the overall price that one would expect when entered into a sleep study. Not everyone is welcoming home sleep studies as an alternative to lab sleep studies and for good reason. It is important to remember that these types of test are fairly accurate when it comes to diagnosing most with moderate to severe cases of sleep apnea. Others who have very mild OSA will likely miss a proper diagnosis when using this type of test. However, the majority of people may benefit from using such a device. 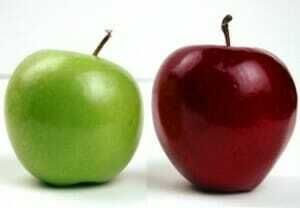 Keep in mind that if the results come back negative, it may be a good idea to further investigate. Also, critics say that at home devices do not detect brain activity which is a key factor used to help determine if there is an issue. In a lab setting, several sensors are attached to the head which monitors brain activity during sleep. Without this, critical information is not being used to drawing a conclusion. In addition to diagnosing sleep apnea, the more expensive Polysomnography can help to determine if another sleep disorder is present. With the at-home study, some may rule out OSA and fail to investigate another sleep disorder. It is possible that you have one of several hundred different known sleep disorders.